Comcast is planning to walk away from its $45 billion merger with Time Warner Cable after pursuing it for more than a year. The decision comes amid intense, possibly insurmountable scrutiny of the deal by government regulators. Comcast's plan is being finalized on Thursday, and it may be announced on Friday, according to a person with direct knowledge of the matter. It is an extraordinary turnabout for a cable giant not accustomed to losing. The deal would have reshaped American media and given Comcast unique control over the market for broadband Internet. But on the bright side for Comcast (CCV), the deal has no "breakup fee" -- industry parlance for a financial penalty for giving up on the merger. The collapse of the merger, first reported by Bloomberg News on Thursday afternoon, came one day after a series of meetings between the cable companies and government officials. The officials shared a long list of reservations about the proposed combination of two cable and broadband companies and indicated they may take action to block it. In the wake of the meetings, some of the parties involved started to talk about the proposed deal in the past tense. A person knowledgeable about the meetings suggested that Comcast was going through the five "stages of grief" after the meetings. Analysts said that Comcast would likely blame the collapse of the merger on a Washington climate led by Democrats that is hostile to business. Speculation immediately shifted to potential bidders for Time Warner Cable, with attention focused on a previously interested party, Charter Communications. Representatives for Comcast and Time Warner Cable declined to comment ahead of a formal announcement by Comcast. There was initially an air of inevitability around the merger when Comcast announced its bid back in February 2014. But doubts grew in recent months as the government's reviews of the deal dragged on, and the company's stock prices shifted accordingly. The key piece of new information after Wednesday's meetings was about the Federal Communications Commission, which along with the Department of Justice had been reviewing the proposed combination in great detail. FCC staffers are not convinced the merger is in the public interest, and they are recommending that the case be heard by an administrative law judge, according to people with direct knowledge of the matter. It's a bureaucratic maneuver, one that effectively strangles the merger by swallowing up months and months of time. It happens so rarely that the FCC barely has the staff to do it. The Wall Street Journal first reported on the staff recommendation on Wednesday night. BTIG Research analyst Richard Greenfield reacted by saying, "This would appear to be a death sentence for the transaction." An FCC spokeswoman declined to comment. But another person confirmed to CNNMoney that the five commissioners have been briefed on the recommendation, and that a vote will be scheduled soon. The commission is comprised of three Democrats and two Republicans, so the hearing will likely be supported by a majority. But the vote would be rendered moot if Comcast withdraws from the deal. There is said to be serious skepticism about the deal within the Justice Department, as well. Comcast is the number one provider of cable TV and broadband in the United States with over 20 million subscribers. What the company wanted was to gain more subscribers in key markets like New York and Los Angeles. Time Warner Cable, with 11 million subscribers, could have provided that. As recently as last week, Comcast had expressed confidence that the Time Warner Cable merger would go through. But sentiments markedly changed this week when the government shared some of its findings with the company. After Wednesday's meetings, but before Thursday's reports that Comcast was walking away, MoffettNathanson senior analyst Craig Moffett compared the deal to an "elephant that has been dropped out of an airplane." "At around 10,000 feet, it is technically still alive," he said. "But it is falling fast, there's not much you can do to stop it, and its odds of survival are pretty low when it hits the ground." Opponents of the deal celebrated the news of its likely demise. 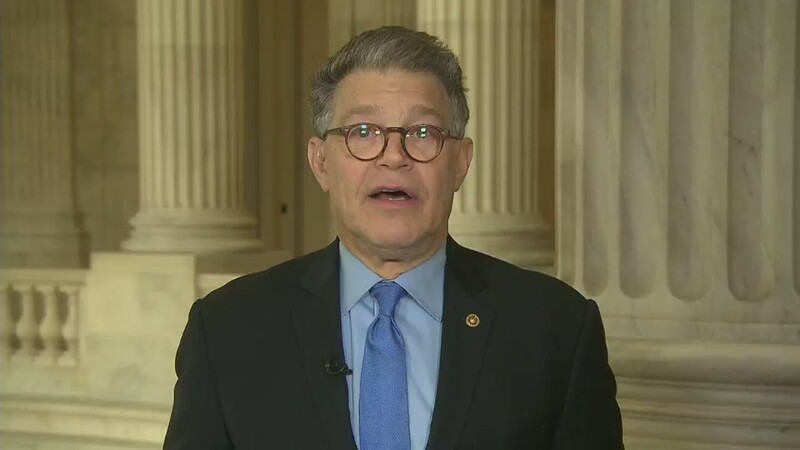 Senator Al Franken, its most vocal challenger on Capitol Hill, said Thursday that "I'd be happy" if Comcast confirms it is abandoning the bid. The Minnesota Democrat also predicted another company would bid for Time Warner Cable. "This proposed merger was bad news from the beginning," Craig Aaron, CEO of the public interest group Free Press, said in a statement. "Giving one company control over so much of America's communications is neither pro-consumer nor pro-competition. Everybody knows that. Comcast seems finally to have gotten the message that people can't be fooled into thinking that this merger would benefit cable customers and Internet users in any way." Some people saw this coming even before the merger was announced to great fanfare -- and presumptions it would be approved -- in February 2014. When the bid was being considered at the end of 2013, Republican FCC commissioner Ajit Pai told The Wall Street Journal, "Precedents like this suggest an outright acquisition by Comcast of Time Warner Cable could face a number of hurdles in the Obama administration. A Republican administration likely would be more inclined to approve a deal."